Comment: I need to get rid of all the weeds growing all over my backyard. Comment: Backyard is big. Cluttering with lots of leaves and weeds. Needs hauling away of discarded things. Complete cleaning and grooming. Front yard needs lawn cut very tall and one bush removed. Backyard needs lots of work. Comment: I would like to get an estimate for weed prevention and lawn care. Comment: I have a front lawn and backyard lawn that needs to be cut. I'm interested maintenance service twice a month. There are some shrubs / bushes in the back that need to be trimmed / maintained as well. Comment: I would like to get an estimate for Leaking sprinkler. Comment: I have a very neglected front and backyard with lawn and gardens. There is a lot of weeding and cleanup to be done in the gardens. The lawn is very overgrown, 6-8 inches high. I am looking to restore this property to its previous beautiful condition. My back issues have prevented me from maintaining the landscaping for 6 months. Castro Valley Lawn Care Services are rated 4.63 out of 5 based on 1,969 reviews of 27 pros. 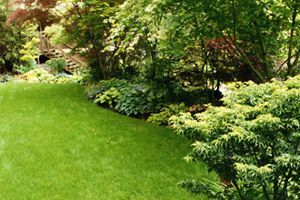 Not Looking for Lawn & Garden Care Contractors in Castro Valley, CA?